Understanding Australia’s complex myriad of immigration laws requires a someone with the advantage of legal training and experience, as well as an in-depth understanding of Australian immigration laws, regulations, policies and case law. Australian immigration lawyers are subject to a higher degree of regulation and supervision than a non-lawyer migration agents. Many prospective visa applicants are unaware of the significant difference in legal training undertaken by Australian immigration lawyers as compared to non-lawyer migration agents. In order to practise law independently in Australia, at least five years of university education is required, including prescribed courses in Australian administration law (involving legal challenges to Government decisions such as the grant or refusal of Australian visa applications), professional conduct and ethical conduct. This is followed by a period of supervised, practical legal work under the direction of an experienced mentor. As a result of this extensive period of study and practical experience, Australian lawyers already possess significant skills and experience in Australian law before they are permitted to practise independently. Migration agents on the other hand are not required to complete anywhere near this level of training or undertake any practical legal work, and are only required to complete 6 months of study. Like all lawyers, immigration lawyers must meet minimum levels of professionalism, and must attend continuing legal education (CLE) classes. Specialist immigration lawyers may also undertake specialist accreditation, through specialist accreditation programmes, which have been established by the Law Society of NSW. These programmes have been running for some years and have proved very successful in raising the level of professionalism. This is in addition to meeting the requirements set forth by the Migration Agents Registration Authority (MARA) for continuing professional development (CPD), although there have been moves recently to allow immigration lawyers cross credit CPD and CLE courses. This dual regulatory structure, although onerous at times, ensures that the standard of professionalism among immigration lawyers is very high, allowing them to deliver high quality services to clients in an often-confusing area of the legal system. Immigration law is a massive and horrendously complicated area of the legal system. At present, there are more than 500 articles in Australia’s Migration Act, and a huge number of cases annually. Against this backdrop, it has become increasingly difficult for any single lawyer to practice across all areas of migration law. As a result, immigration law firms are becoming increasingly specialised, appointing legal staff to deal with various areas of immigration law, such as business migration, skilled migration, family migration and refugee law, for example. Moreover, it is becoming increasingly common for lawyers in general practice to refer immigration cases, to a specialist immigration practice, where for example, an existing client of the firm has an immigration problem. The firm may not be able to handle the case, but also wishes to service the client’s needs. Using a specialist practice as a consultant solves the problem and creates a good networking environment. Taken together, this preferred method of practice is helping to ensure that migration consumers are getting the specialist attention they need to navigate through Australia’s migration system. Unlike migration agents, who are regulated solely by the MARA, lawyers must be registered with their relevant state legal authorities and must also have professional indemnity insurance. This rigorous oversight regime ensures that lawyers adhere to high standards of service, and that there is also a strong functioning mechanism for redressing complaints, should they arise. The result of this strong oversight, coupled with high professional standards and increasingly specialisation, is that immigration lawyers are delivering the quality services that their clients need. Australian immigration law is extremely complex, and it is continually evolving. Lawyers are often required to analyse, interpret and apply Australian legislation, case law and government policy on a daily basis. Australian immigration lawyers are skilled in working through this kind of complexity as a result of their legal training and experience. In completing a visa application, particular questions and the answers provided to them can be of critical importance to the success of your application. So too is the type and quality of the documentation submitted in support of your visa application. Underpinning the Department of Immigration and Border Protection’s questions and documentary requirements is a set of laws that includes the Migration Act 1958 and Migration Regulations. This legislative framework means that the type and quality of documentation provided to the Department of Immigration and Citizenship can sometimes make the difference between the grant or refusal of your visa application. In many cases, it is not enough to simply rely on the Department of Immigration and Citizenship’s ‘checklist’ of the supporting evidence it expects to be submitted along with your application. In some cases, professional advice not to include unnecessary documentation or ill – prepared documentation, in your application can have important relevance to the success or failure of your plan to locate to Australia. Experienced Australian migration lawyers are able to provide you with clear advice as to what type of documentation should be submitted and aid you in the effective preparation and presentation of your documentation. A further important distinction between Australian immigration lawyers and Migration Agents relates to the preparation of legal submissions. Given that Australian Lawyers are required to undertake at least five years of university legal training, it stands to reason that they are well qualified to understand the legislation, policy and procedure applied by the Department of Immigration and Citizenship case officers. So when it comes to preparing high quality legal submissions to accompany your visa application, this training and experience is an invaluable asset towards the potential success of your application. You want to make sure your visa application is right the first time. There are many instances where Applicants have wasted time, effort and money pursuing avoidable legal proceedings in Australian courts. 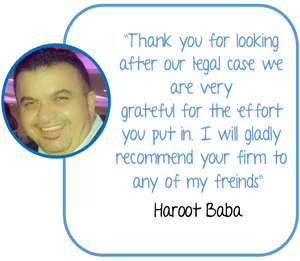 Had these applicants received appropriate legal advice and the benefit of a well – considered migration strategy at the outset, their pathway would have been less difficult and costly. 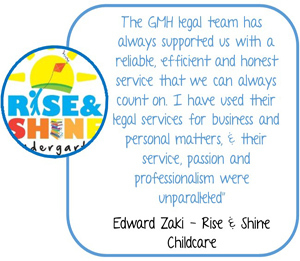 GMH Legal lawyers are experienced Australian immigration legal practitioners who are familiar with current law, procedures and foreshadowed changes to immigration practice. 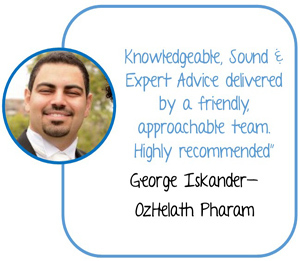 We have the qualifications and expertise to properly advise you about your best options for migration to Australia. Australian immigration lawyers are confined in the advice they can give by the boundaries of immigration law. 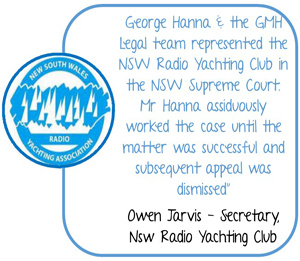 They are legal professionals trained in the Laws of Australia. They are able to advise you in relation to the full range of laws that may be relevant to your circumstances. Immigration matters often carry implications concerning a client’s rights and responsibilities in other areas of law, such as family law, employment law, business law, criminal law, and tax law. Non-lawyer migration agents cannot be expected to understand the general operation of the law. Furthermore they are prohibited from provided you with legal advice outside their narrow field of training. Lawyers, on the other hand, are required to be aware of Australian laws in general. Their training and experience means they will be able to identify any potential implications these other areas of law may have on your visa application. Additionally, should your visa application be refused and if you choose to bring an appeal before the Australian courts, an immigration lawyer will be able to represent you in that review, while a non-lawyer migration agent cannot. Appeals are often an important part of the application process, so it is sensible to make sure this option is available to you from the beginning. Clients of Australian Lawyers can claim the right to legal professional privilege. This means that their lawful communications with their lawyer are confidential and protected from exposure in most situations (a few limited exceptions exist). Clients of migration agents are not entitled to claim that their communications with their migration agent are protected from disclosure by legal professional privilege. By retaining the services of an Australian immigration lawyer, you are entitled to privacy protection through legal professional privilege for your lawful communications with your Australian immigration lawyer. 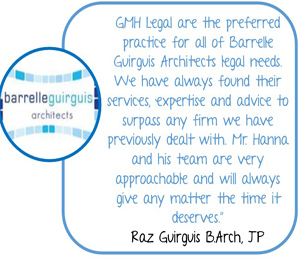 Why Choose GMH Legal to handle your Australian Immigration Matter? It can be difficult to negotiate Australia’s complex and evolving immigration laws and policy. There are more than 100 Australian visa subclasses for temporary visitors to Australia, plus various pathways to permanent residence. So it is important to get the right advice from the beginning of the migration process. Australian lawyers offering Australian immigration services can better provide the type of expert advice, assistance and service that you need to submit a successful application for an Australian visa. Overall, a high level of service and protection is offered by Australian immigration lawyers. 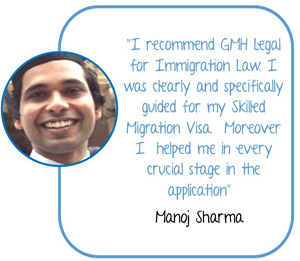 GMH Legal lawyers are registered migration agents and fully qualified Australian lawyers. We are subject to all the regulations that bind migration agents plus those that apply specifically to Australian Lawyers.